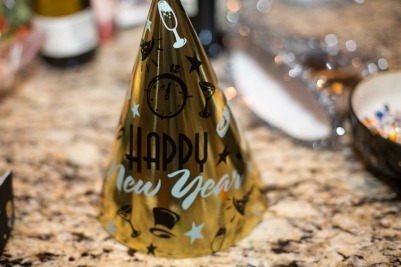 So, we decided to host our 1st ever kid-friendly New Year’s Eve party. And it was a big success! So, I hope it is the 1st of many! 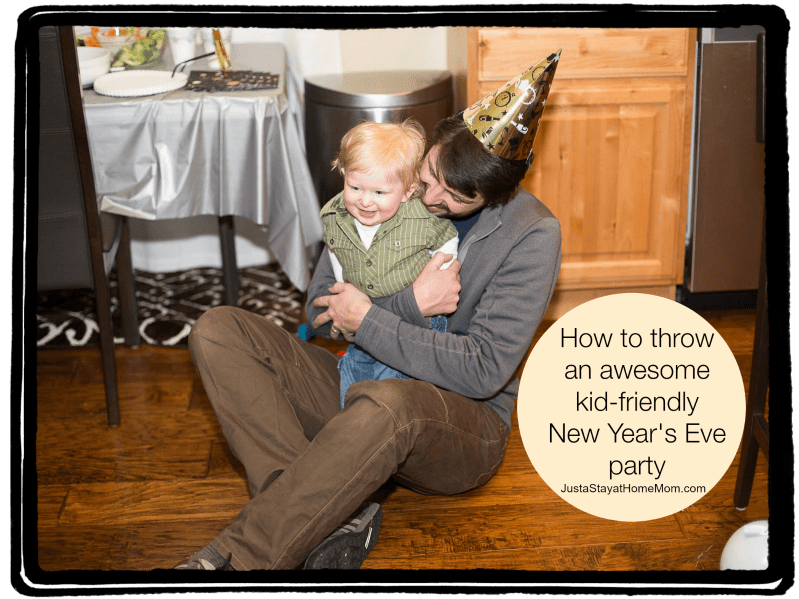 Want to throw your own kid-friendly New Year’s Eve party? 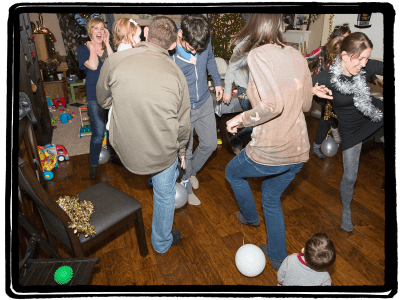 Here is part 1, focused on setting up for your party. 3. Make an area designated for adult drinks (*assuming people that come will drink responsibly, since they are caring for their children). You’ll also notice the sign says that “adult treats” are nearby. I wanted the cookies to be out of view for the young children so parents could decide on their own if they wanted to sneak a treat just for themselves or share with their kids (for my 1 year old, my philosophy is no sugar if we can avoid it – except Bday cake). We had the mixings for several drinks. Favorites of the night included White Russians, and an adaptation on a Grapefruit Flirtini. I’m naming it the “Dazzling”, since “Dazzling” was the theme for our party.